Former Congressman Norm Dicks serves as Senior Policy Advisor advising clients on a wide-range of public policy, strategic, and regulatory issues, particularly those in the environmental sector. 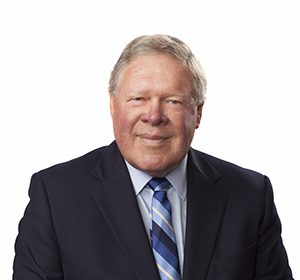 Prior to joining the firm, Norm represented Washington State's 6th Congressional District from 1977-2013, where he received a rare first-term appointment to the House Appropriations Committee, a committee he served on for his entire tenure in Congress. In addition, he served on and chaired the Interior Appropriations Subcommittee where he made environmental issues a priority, and worked tirelessly on issues affecting the National Parks, National Forests, and Native American issues. Congressman Dicks also became the chair of the Defense Appropriations Committee, and concluded his tenure in Congress as top-ranking Democratic Member on the Defense Appropriations Committee, and top-ranking Democrat on the House Appropriations Committee. From 1990 to 1998, Congressman Dicks served on the House Intelligence Committee and was awarded the CIA Directors Medal. Assists clients with strategic guidance, planning regarding federal and state government matters. Provides clients with high level contacts within the Executive Branch, federal agencies, and state and local governments. Served in the U.S. House of Representatives for 36 years, the longest serving Member of Congress from Washington State. Concluded his service in the U.S. House of Representatives as Ranking Democratic Member of the House Appropriations Committee. Served as Legislative Assistant and finally Chief of Staff to Senator Warren Magnuson from Washington State. Received countless awards and accolades for his work on behalf of protecting and restoring the environment, national security, and human services. "Cybersecurity as a National Public Policy Priority"
Former Congressman Norm Dicks Remembers Billy Frank, Jr.